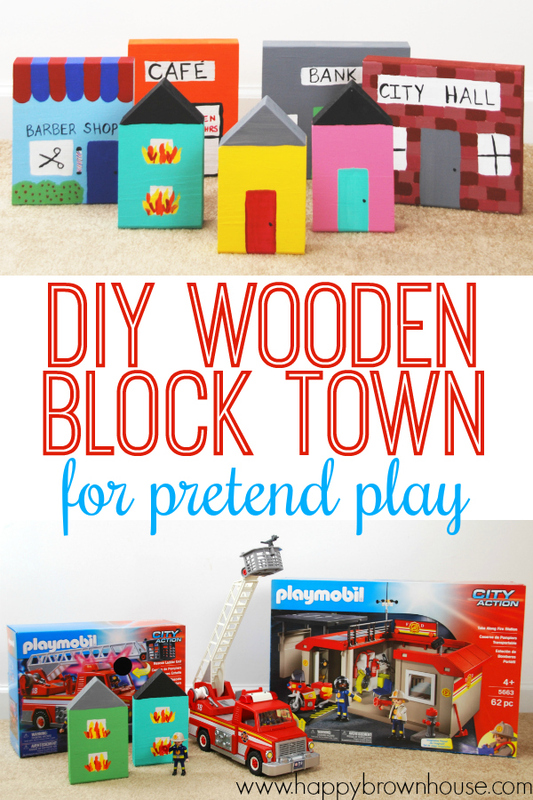 A quick and easy DIY Wooden Block Pretend Play Town is the perfect homemade gift to accompany the new PLAYMOBIL Take Along Fire Station and encourage imaginative play in kids. 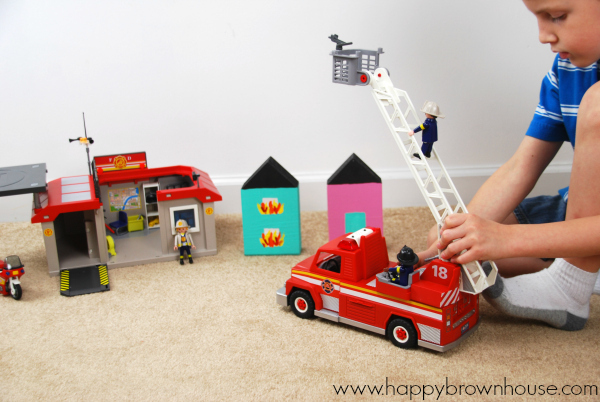 Little ones will love saving the town with their PLAYMOBIL fire fighters. My husband’s grandmother, who adopted and raised him, has kept most of his toys from childhood. As our boys have grown, she’s pulled out the toys from storage and set up a playroom full of my husband’s old toys. Our boys absolutely love it and can’t wait to play at Granny’s house. While not all of the toys made it past their original owner, there are a few that have stood the test of time (and two generations of rough little boys) and remain some favorites today. The boys have gravitated toward the PLAYMOBIL play sets and love making up elaborate stories as they engage in pretend play. To encourage the boys to pretend more often, we’ve carried on the tradition of choosing PLAYMOBIL for some of our toys at home. We recently purchased the PLAYMOBIL Take Along Fire Station and the PLAYMOBIL Rescue Ladder Unit from Walmart for Asher’s birthday and he has been obsessed. 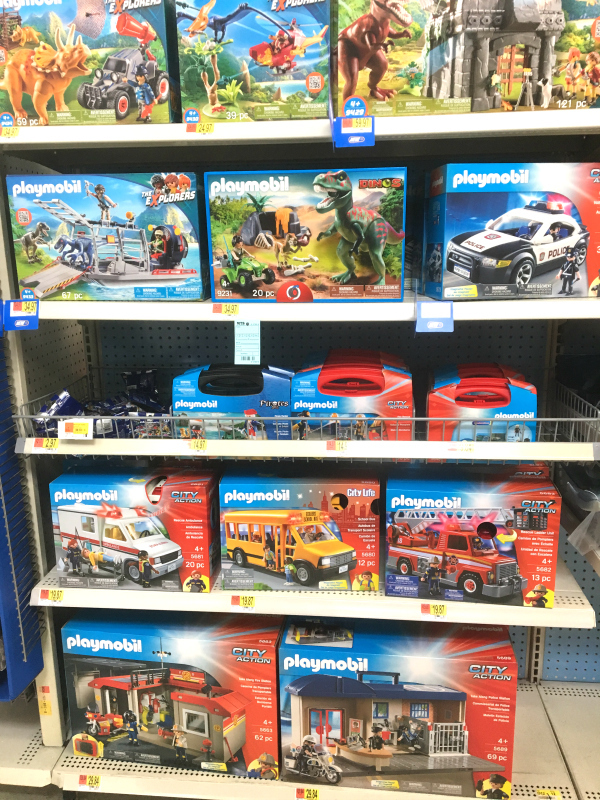 I was so excited to find PLAYMOBIL play sets at Walmart that I had a hard time deciding which one to pick. They all looked like fun, especially some of the newer ones like the PLAYMOBIL Hidden Temple with T-Rex and the PLAYMOBIL Ghostbusters™ Ecto-1. One day while Asher was playing, I realized that he really needed a house to rescue. And if you’ve been around here for long, you know that my brain kicked it into overdrive and created a project to tackle. 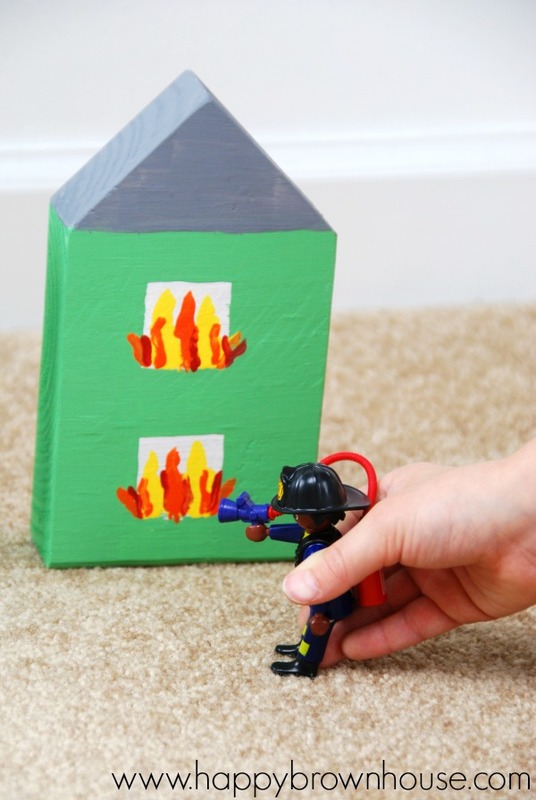 Because what started out as a simple thought like “Hey, maybe he needs a house with some flames on it” quickly turned into “I could make an entire town to save!” What’s a crafty girl to do? 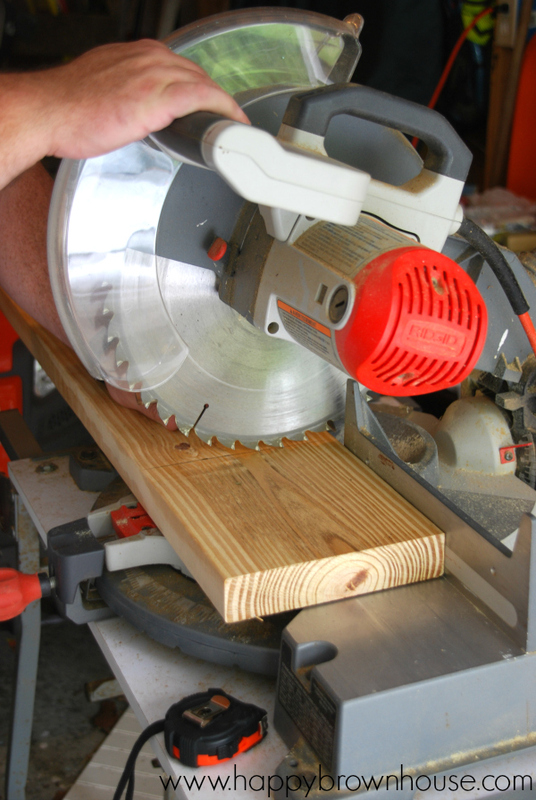 Head to the hardware and craft stores to load up on some supplies, of course! 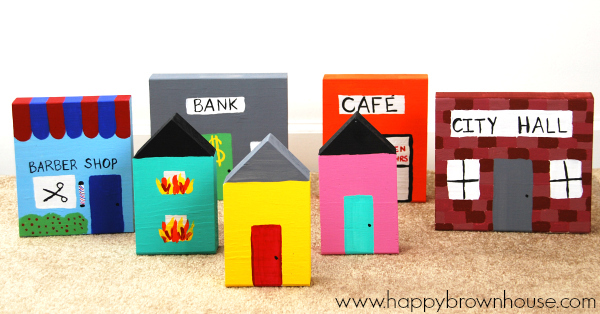 And that’s how this adorable little DIY Wooden Block Pretend Play Town came to be. 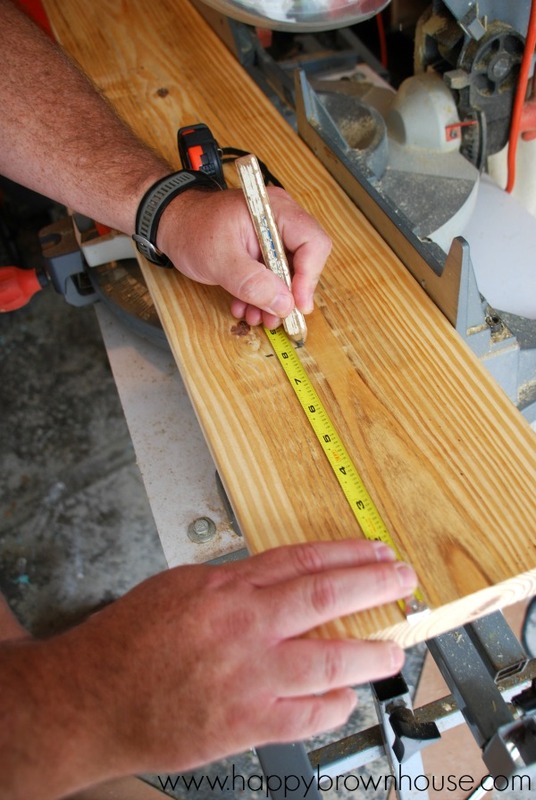 Measure your 2×8 board. We made buildings that were 8 inches, 6 inches, and 4 inches wide. We varied the lengths a bit, but I didn’t want to make them too skinny to stay standing. To make it easier to paint without the wood soaking up the paint, I put on a couple of coats of primer that I had sitting around the garage from another painting project. 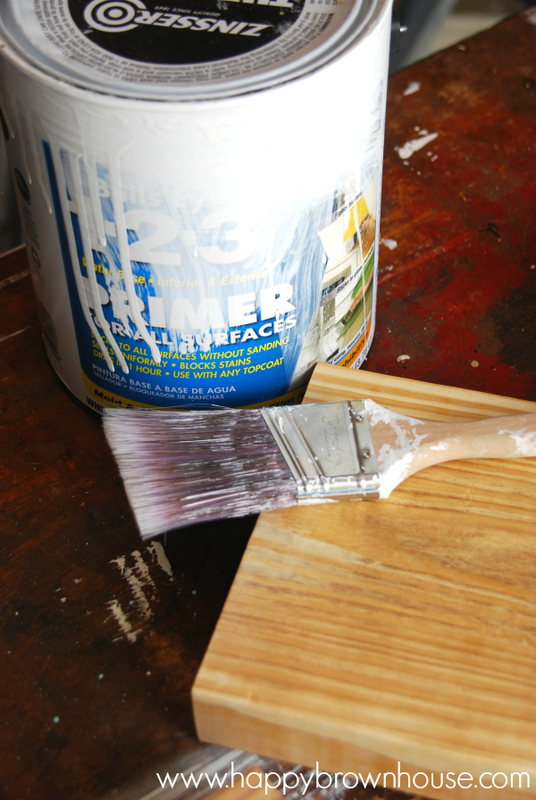 You can use brush on primer like I did, or you can use spray primer. You choose. Now comes the fun part! 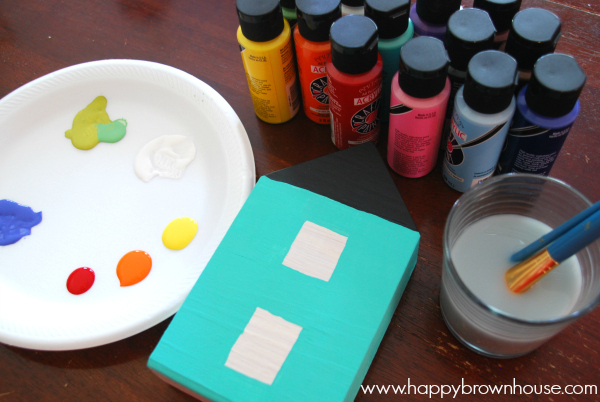 Use your acrylic paint to paint details on your buildings. I made 2 regular houses, 2 houses with flames, a barber shop, a bank, a café, and city hall. The possibilities are endless! Use your creativity here and see what you can come up with. I’m not much of a painter, but I think they turned out cute. Once I was done with the town pieces, Asher was so excited to play with them. He immediately set up the town with the PLAYMOBIL Take Along Fire Station and started pretending he was on a rescue mission. 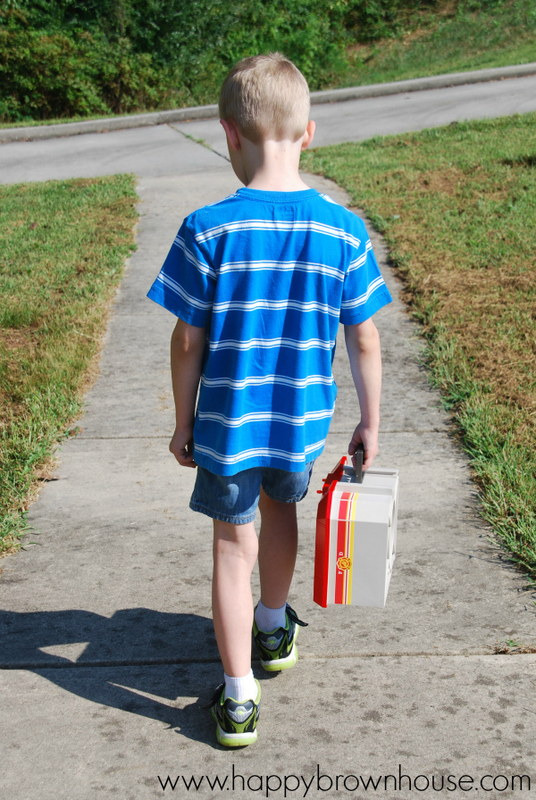 The wooden block town was a great addition to his pretend play. He pretended he was making a call to 9-1-1, dispatching on the radio, and driving the fire engine. He cranked the ladder up and unrolled the hose (yes, it really moves!) and sprayed the house with pretend water. He was a man on a mission and his mission was accomplished. All is now safe in the town. PLAYMOBIL toys are pretty fantastic! They are high quality toys that last. They are made of sturdy plastic and we have seen first-hand that they can last more than one generation. PLAYMOBIL play sets encourage kids to use their imagination which gives them endless possibilities. I love a good toy that makes my kids think. While playing with PLAYMOBIL, my boys work together to create elaborate storylines and a world of imaginative play. 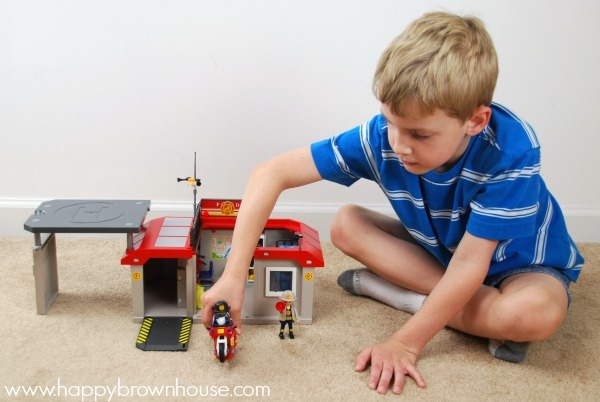 PLAYMOBIL play sets not only help develop cognitive skills, but they also help develop social/emotional skills. 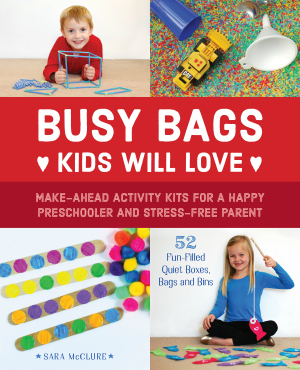 Children can play out scenarios similar to situations they might encounter in real life and work out ways to deal with them in a stress-free environment. 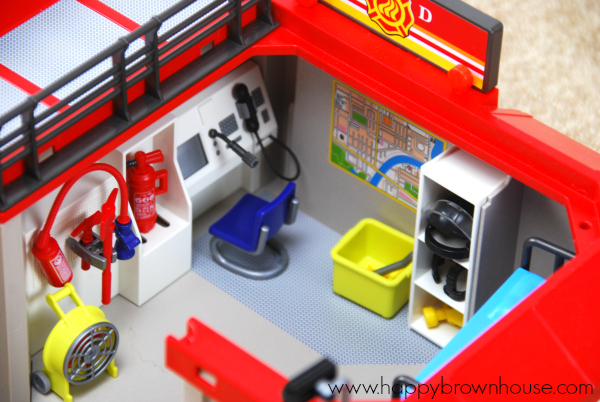 One of the other things I was so excited about when we opened up the PLAYMOBIL Take Along Fire Station was the attention to detail. They thought of everything–the microphone for the emergency dispatcher, the bunk beds for the firemen to sleep in while on duty, the map of the town, the telephone that moves, and so much more. I love that there are enough parts to the play set that multiple children can play at the same time. My boys have had a lot of fun working cooperatively to come up with their storyline. Because there are so many pieces, the boys can just take out one part of a play set and engage with it for a long time. Even though the boys have been playing with this set for a few weeks, they are still discovering new things about the play set. 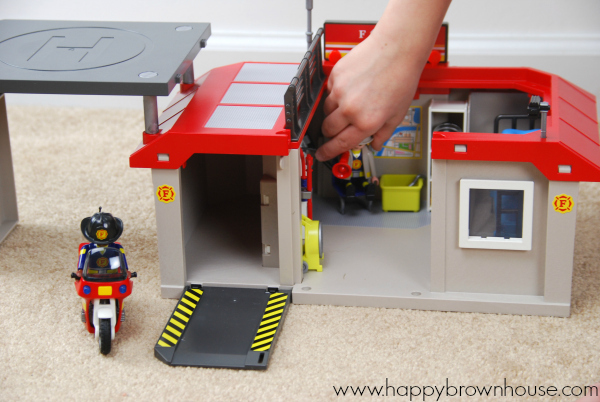 The PLAYMOBIL Take Along Fire Station is portable, so it is easy for Asher to take to Granny’s house or on a playdate with friends. The fire station doubles as a carrying case and everything fits inside. This also helps with clean up and keeping all of the parts together so they don’t get lost in the toy closet. I can’t say enough about PLAYMOBIL–we love them! Maybe one of these days my grandchildren will be playing with these PLAYMOBIL play sets at my house. Wouldn’t that be amazing? Click here to check out more creative ideas featuring PLAYMOBIL.